What is Karma? 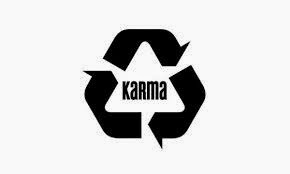 Karma is the Sanskrit word for action. It is equivalent to Newton's law of ‘every action must have a reaction’. When we think, speak or act we initiate a force that will react accordingly. This returning force maybe modified, changed or suspended, but most people will not be able eradicate it.